British Jewellers Stuart Hughes takes extravagance to a new level. 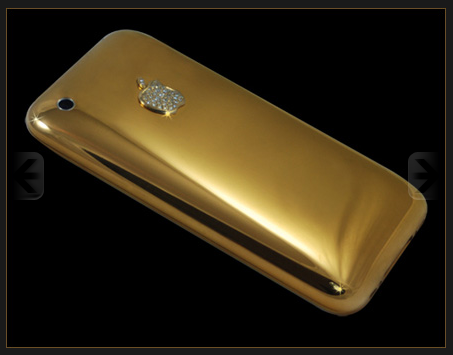 Combining technology, design and uber stylist lifestyle element, the Liverpool-based custom jeweler put a price tag of $34,000USD for a hand-craft 22ct solid gold iPhone, including 53 VVSI Diamonds set in the back to form the Apple logo. You're up for it?